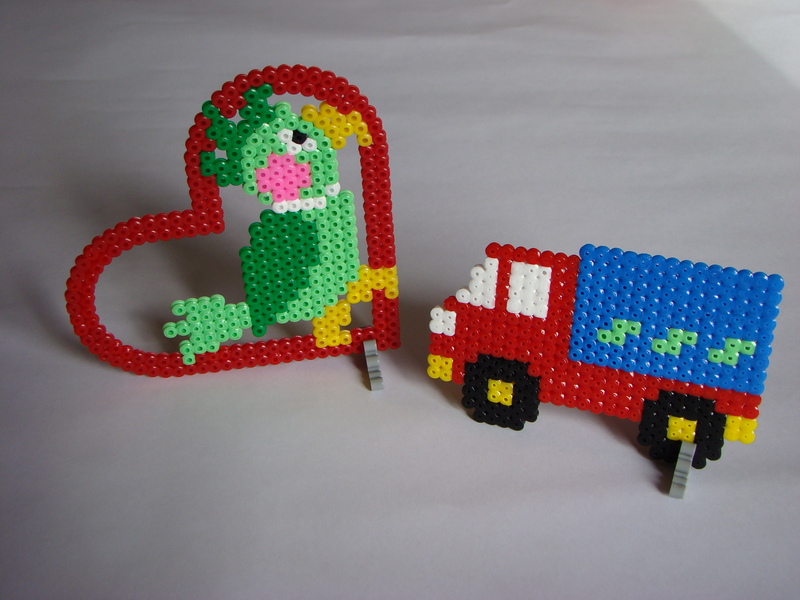 Yesterday we got the Hama Beads out for the first time in what seems like ages! And in the usual way the break seems to have worked wonders. Jasmine then caught sight of a picture of a pink dolphin on the cover of one of the Inspiration books (I have several of these as I love them for ideas!) and said she wanted to make it. 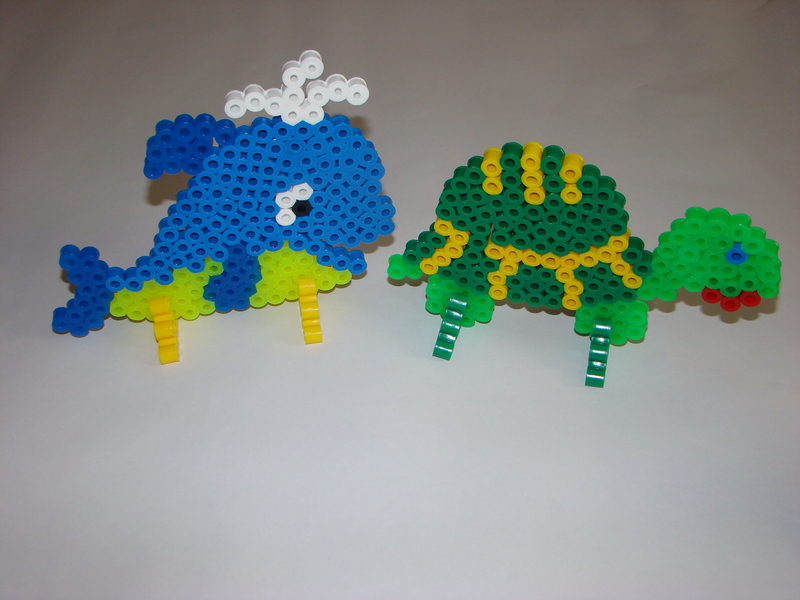 She has never copied a design before but it was quite simple so I gave her a few basic instructions (what colour to do first, how to count the number of rows of red on the bottom fin etc) and pretty much left her to it. 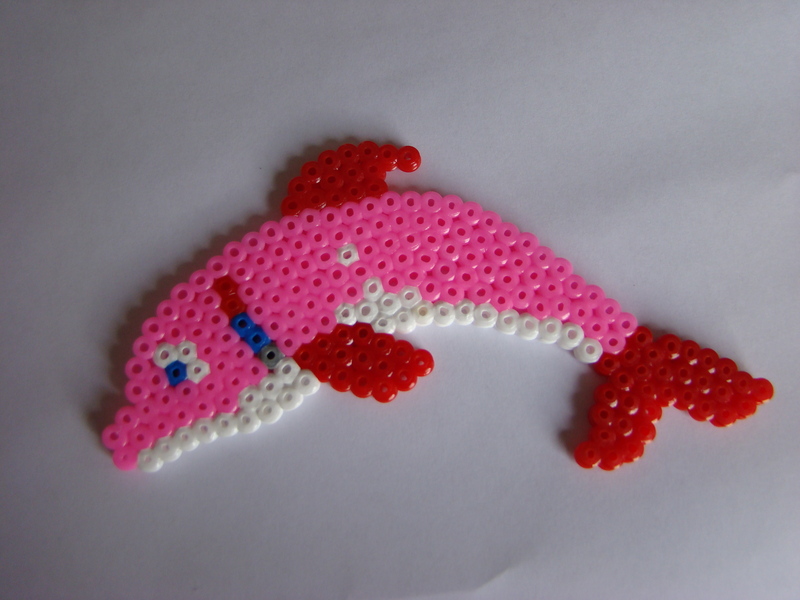 And here is her finished dolphin.. I think she has done amazingly well! In typical Jasmine way she couldn’t copy it exactly; she had to personalise it. The multicoloured column is the dolphin’s necklace and the one white bead in the middle is a plaster, because the dolphin hurt itself on some rocks!